Go hold your children. Tell them you love them and you always will. Tell them God loves them and He always will. Tell them that evil exists and it always will [in this world], but God is good and ultimately good always defeats evil. 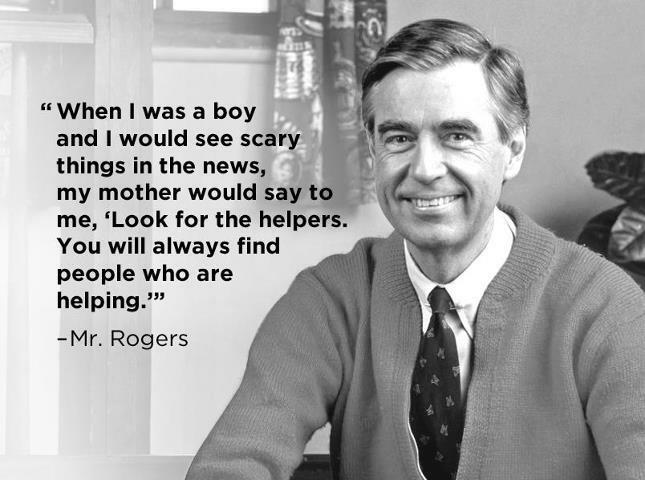 I’ve seen this meme passed around quite a bit this week of Mr. Roger’s conversation with his mother where she told him in scary situations to “look for the helpers.” We should be the helpers—the ones who pray, and give, and love—and not only when it is noticed, but all the time. This blog was republished with permission. To read more from Christina, visit her blog HERE.